Osteoarthritis is a degenerative joint disease that affects more than three million people each year in the United States. Osteoarthritis in the hip or knee can be debilitating conditions that are extremely painful, and can often lead to other chronic health conditions if not treated properly. Symptoms of Osteoarthritis in the back can include shooting pain in the hip, groin, and thigh area. 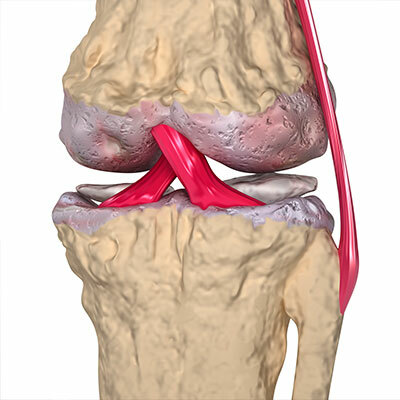 Osteoarthritis has a tremendous impact on the knee joints as the knee is also susceptible to regular wear and tear caused by the aging process and hard physical activity. Osteoarthritis pain that starts in the knees is not normally felt by patients in their hips until the condition has begun to impact the nerves. Symptoms of Osteoarthritis usually peak in colder weather or when patients engage in physical activities. Chiropractic care at Zemella Chiropractic in Santa Barbara is especially beneficial for patients with osteoarthritis by helping with reducing pain and assisting with increasing range of motion. Chiropractic care typically involves a chiropractic adjustment, joint manipulation, trigger point therapy, and massage in some cases. If you are taking any medication for osteoarthritis, please inform your doctor that you are interested in chiropractic care, and be sure to inform our medical staff so we can prepare the right treatment for your condition. At Zemella Chiropractic in Santa Barbara, we take pride in offering all our patients with osteoarthritis a comfortable environment for treatment. To learn more about how chiropractic care can help you find pain relief for osteoarthritis in your knees or hips, call Zemella Chiropractic in Santa Barbara at (805) 324-6500 to schedule an appointment today.